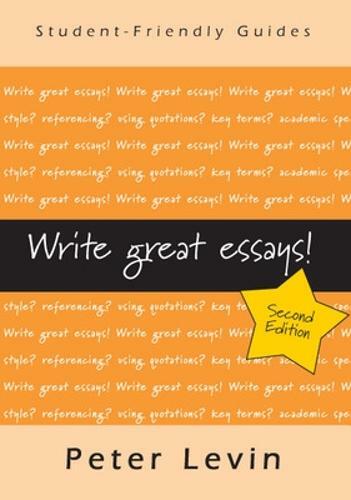 This book remains the book of choice for students with essays to write! Peter Levin has comprehensively updated the book to incorporate student feedback and has included significantly more information on the kinds of material that are available online, and on coping with the attentions of the plagiarism police. The book clarifies all the key issues that students cite as blocks to the development of their writing skills and will help improve the grades of any student who takes the time to adopt the techniques offered. No student with essays to write should be without a copy!